David Miller failed both as a captain and as a batsman. Every positive thing has a negative side attached on the opposite end. Just like the 'Ultimate XI' of IPL 2016, here is a list of 'Misfiring XI' which comprises of players on whom the franchises had invested a large sum of money, but they let down both their franchise and fans. Naman Ojha (WK) - The 32-year old right-hand wicket-keeper batsman did no justice to his talent throughout the tournament. His 136 runs in 17 matches came at an average of 13.60 and a strike rate of 98.55. He was tried at No. 3 and in the middle order as well but failed to rise on the expectations every time. Shreyas Iyer - Having ended the Ranji Trophy season as the highest run-scorer, Iyer let his fans down big time in IPL 9. He fetched a paltry 30 runs in six matches at an average of 5.00 and a strike rate of 69.76 and was a disappointment for Delhi Daredevils at the top of the order. Glenn Maxwell (VC) - After scoring 552 runs in 16 matches for Kings XI Punjab in 2014, Maxwell has let his franchise down for two successive years now. In 2015, he managed 145 runs in 11 matches. 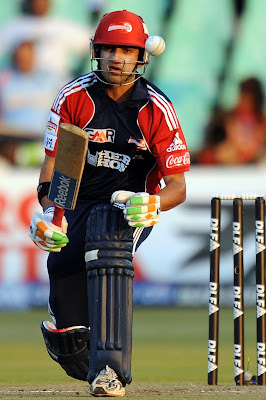 In this edition of the IPL, he scored 179 runs in 11 matches at an average of 19.88 and a strike rate of 144.35. Even after scoring two half-centuries, his tally of runs is a sad figure for someone of his potential. In the nine overs that be bowled in this season, Maxwell conceded 80 runs without taking a wicket. Deepak Hooda - The 21-year old promising batsman did not make use of the ample opportunities given to him by his new franchise, Sun Risers Hyderabad. He scored 144 runs in 17 matches at an average of 10.28 and a strike rate of 119.00. He was handed the ball on six occasions, picking up three wickets for 97 runs in the 13 overs that he bowled in IPL 9. David Miller (C) - There were two phases of David Miller's IPL 9. Playing as a captain and playing as a batsman. However, there was a similarity in both the phases. Lack of runs, it was. 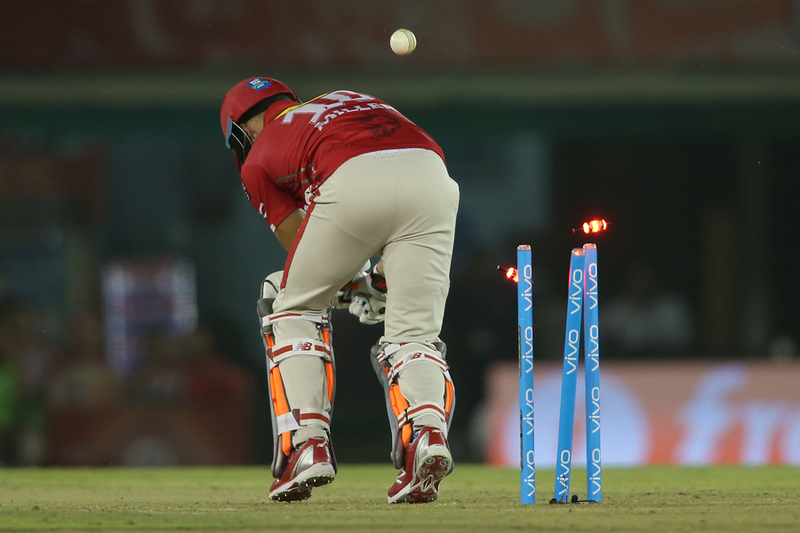 Miller somehow managed to play all the 14 matches played by Kings XI Punjab. He ended his discontented season with 161 runs which came at an average of 16.10 and a strike rate of 122.90. Hardik Pandya - The 22-year old all-rounder might have experienced success playing for India in this season. But as far as IPL 9 is concerned, the junior Pandya failed his franchise. His batting yielded 44 runs in 11 matches at a pitiful average of 6.28 and a strike rate of 69.84. His right-arm medium-fast yielded 3 wickets in 11 matches at an average of 51.00 and an economy rate of 9.18. Pawan Negi - He became the costliest Indian in the IPL 9 auction when Delhi Daredevils bought him for a mammoth 8.5 crores. Unfortunately, Negi failed to prove his price on the field. In 8 matches, he managed 57 runs at an average of 28.50 and a strike rate of 96.61. He picked a sole wicket in the nine overs that he bowled in IPL 9. James Faulkner - He was bought by Gujarat Lions in the Players Draft which held before the IPL 9 auction. Being a T20 specialist, Faulkner was expected to win matches for his franchise by both his power hitting and street smart left-arm fast medium bowling but was dropped midway due to his poor form. He managed 77 runs in 7 matches at an average of 25.66 and a strike rate of 130.50. In the bowling division, his 2 wickets came at an average of 87.50 and an economy rate of 9.82. Karn Sharma - The 28-year old leg break bowler was expected to be the lead spinner for Sun Risers Hyderabad. His inability to pick up a wicket in five matches saw him watching the rest of the season from the bench. His economy rate of 10.46 didn't help him either. Kyle Abbott - The 28-year old right-arm fast-medium bowler from South Africa proved to be another disappointment for Kings XI Punjab. Abbott picked up two wickets in five matches at an average of 88.50 and an economy rate of 11.06. Varun Aaron - The 26-year old right-arm fast bowler was constantly on the receiving end of some bashing by the opposition batsmen. He picked up two wickets in eight matches at an average of 113.50 and an economy rate of 9.59.